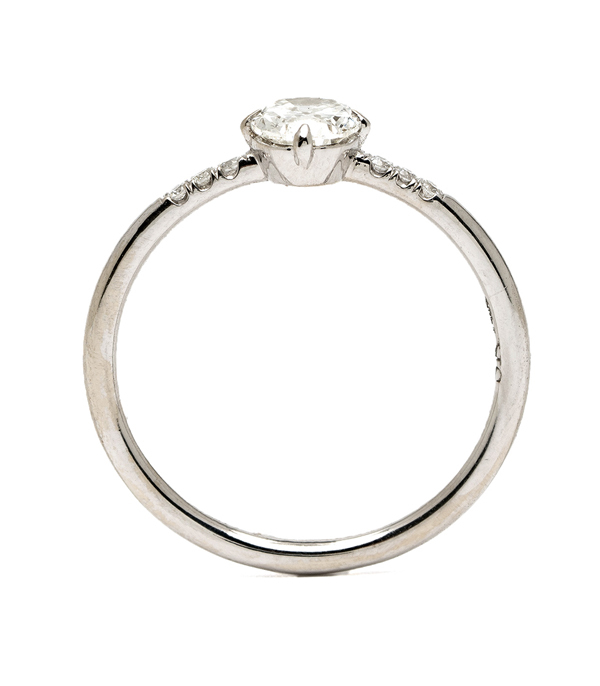 As cool as it is classic, this 14K shiny white gold, diamond engagement ring was designed with understated simplicity in mind. 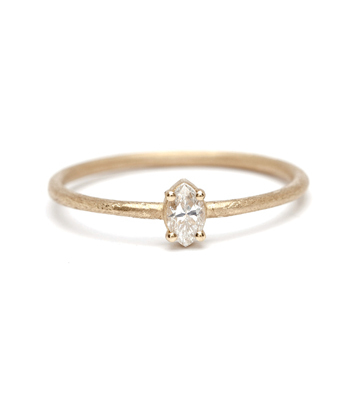 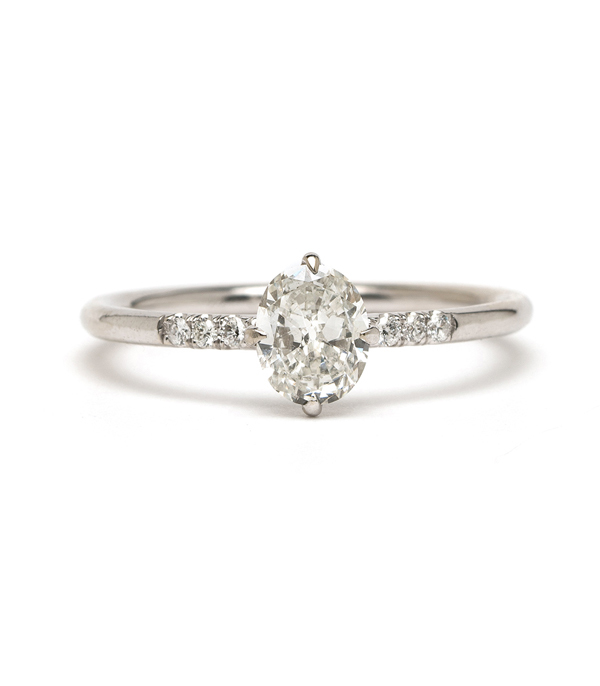 One Oval cut diamond (0.54 ct) is elegantly set in a north-south setting on a smooth round band. 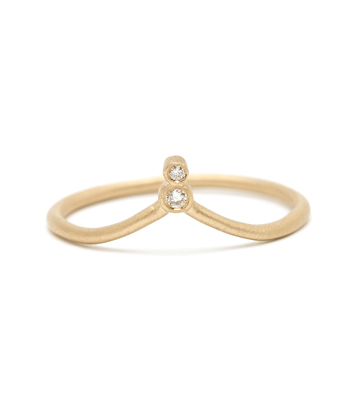 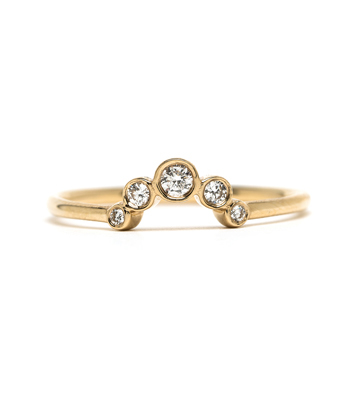 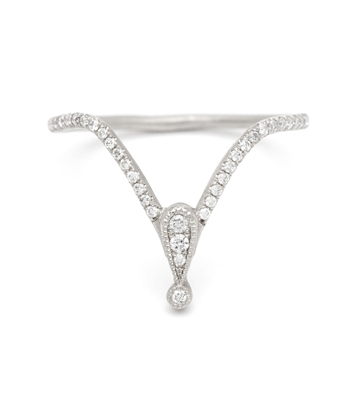 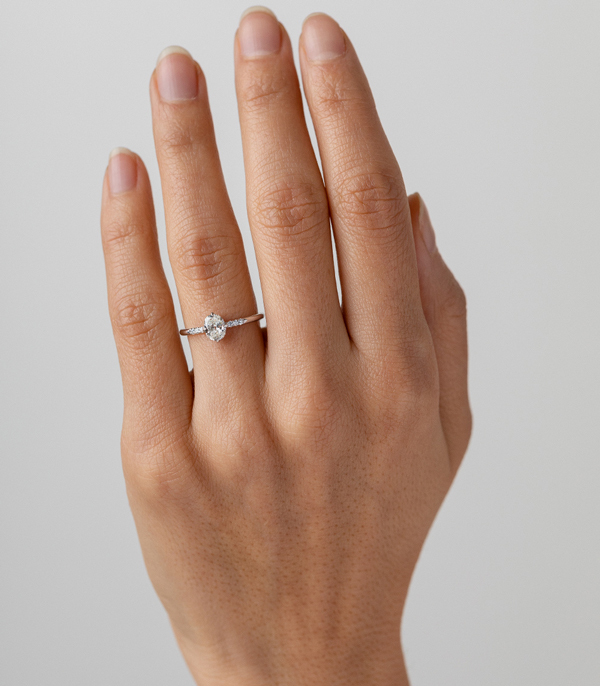 Three tiny diamond accents dot the sides of the band for a perfect finishing touch. 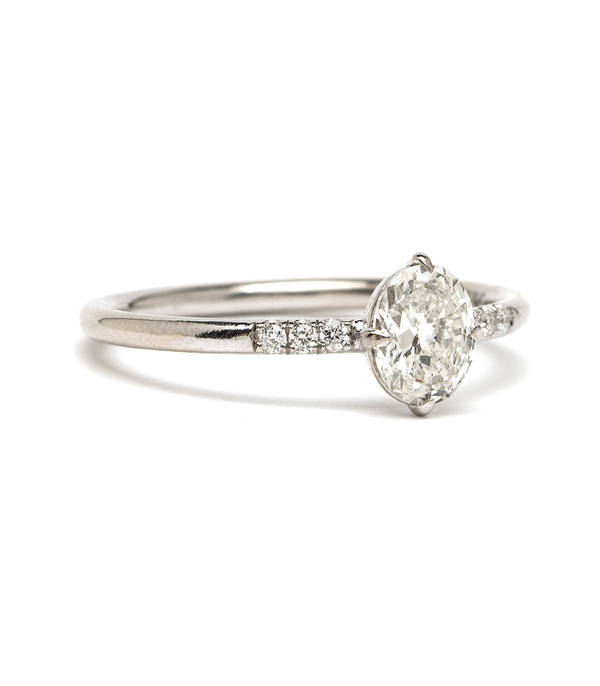 This one-of-a-kind ring was created for a Timeless Glamour bride who appreciates a twist on tradition. 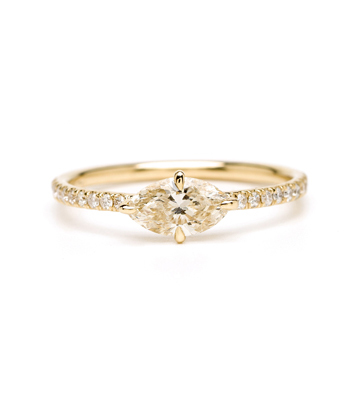 Categories: All Engagement Rings, City Sophisticate, New Arrivals, One of a Kind Bridal, Simple Solitaire.